Your small trades business is up and running, you’ve got a decent number of employees working for you and business is growing steadily – but as your business grows, so do the demands of everyday paperwork and admin tasks. This is a situation that many tradies find themselves in after a few years in business, and it can be increasingly difficult to keep on top this while still doing the job you love, and putting in as much time and effort as possible into your business. Here are a few simple tips to help you get that stack of paperwork under control and relieve a little bit of pressure, so you can put your energy back into your business and the people that work within it. Hiring a new employee with the sole purpose of taking care of your administrative duties and paperwork can be an expensive and often tedious task, and if you’re already having trouble finding time and stretching your resources, sometimes this simply isn’t doable. It’s always key in any business to utilise the skills and strengths of the employees you already have around you. Ask around and find out if anyone could be interested in helping you with tasks outside of their daily duties – sometimes this will work in their favour too if they’re looking for something a little different from their usual routine. Alternatively, delegate small jobs you can’t find the time for to capable workers in your team and lessen your own workload, so you have the time to get on top of your paperwork. We cannot stress the importance of utilizing the resources you already have at your fingertips to help you get ahead. A problem shared is a problem halved. If you’re feeling a little overwhelmed by your incoming paperwork and losing all your free time in the evenings to unfinished invoices and accounting, there’s nothing that a little pre-planning and organization can’t help. As Benjamin Franklin once said, “For every minute spent in organising, an hour is earned.”, and those hours are precious when running a small business. Ensure that you have some simple routines in place that both you and your employees adhere to. For example, throw away paperwork or move files when they’re no longer relevant. If you’re not sure what to be keeping and what to be throwing out, take a look at this brilliant advice about better record keeping here. It’s also important to ensure that as soon as orders are placed and invoices are written, that they’re sent to a centralized location, and are completed as soon as they can be. Procrastinating getting through the ‘boring’ stuff only leads to work piling up, so make sure you’re proactive about keeping on top of it as it comes. Keep your filing systems simple, and make sure that everyone in your workplace are aware of the processes – teamwork makes the dream work, so if you’re not all on the same page, you’ll quickly lose track of your important pages. It seems simple, but with good, clear processes and organization in place that are clearly communicated to your team, you’ll shave off hours of your daily administration. As tradies, we know that working across multiple sites on multiple jobs, with often unpredictable hours, can be difficult to juggle. This problem becomes increasingly difficult when as a business owner, you’re required to keep on top of not only your own hours, but your employee’s. Keeping track of timesheets and the monitoring of your staff’s hours can seem like tedious work, but making sure that your staff have good time management and time tracking skills is key. Ask these question, “are my staff measuring their time well?” and "am I billing all my workers hours?" There are some excellent programs out there that can take some of the stress of timesheets and employee management out of your day to day work life. Trying things out and discovering what works best for your business can be a great way of gaining some well-deserved time back. You’re also teaching your staff good management skills which will assist them as they further their careers, and simultaneously make sure your pennies are going as far as they can – that’s a win win. 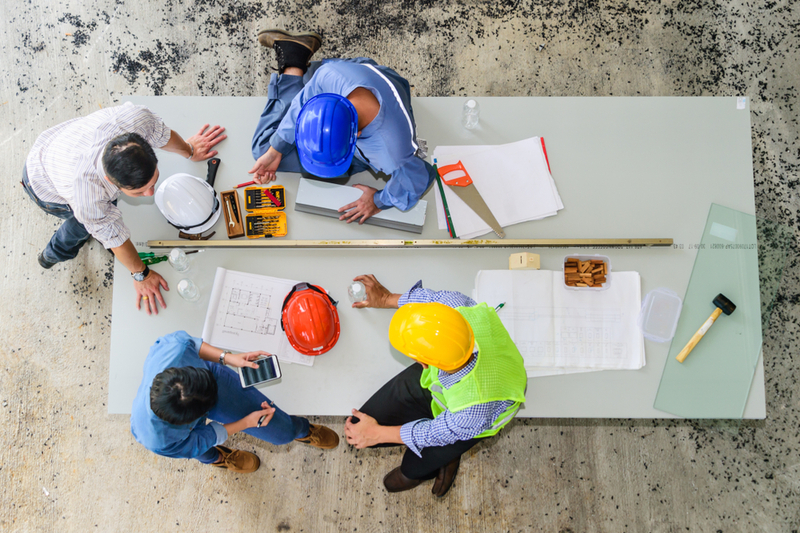 Invoices, contracts, mail, bills and order placements – these are all things that every small business, especially tradies who operate with lots of different jobs on the go, are often inundated with. Take the ‘paper’ out of paperwork and embrace the digital solutions that are around you. Keeping all the information you need on a mobile device and transitioning into a paperless work-management system will not only streamline your processes and eliminate sifting through stacks of paper, but ensure everything you need is ready for you, exactly when you need it. You’ll be able to keep up to date on the jobs, manage your team, and keep on top of the incoming workflow anytime, and anywhere. There are lots of applications available that can make that transition an easy process, that not only you, but your workmates and employees will understand with little training. If you’re keen to get a little more time on your side and find a solution to that never-ending stack of paperwork, that’s an area where NextMinute can help.